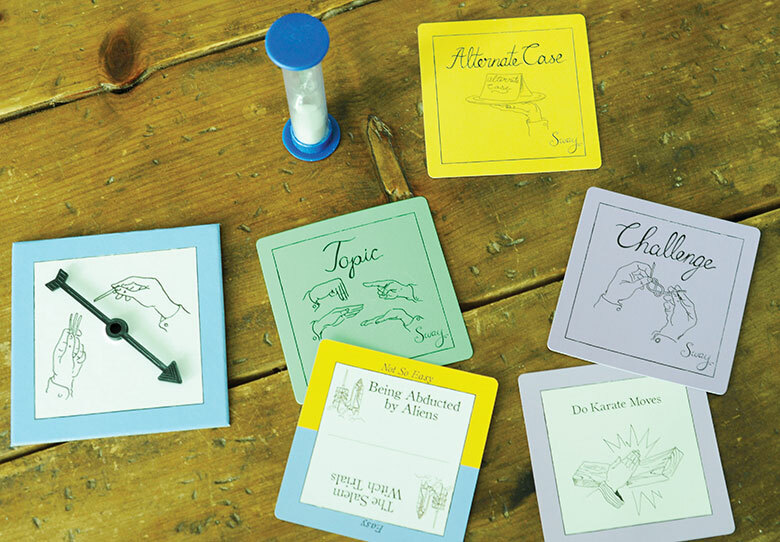 A decidedly positive card game offers an alternative to Cards Against Humanity. Card game Sway keeps its good times PG. Finding the bright side is key to winning Sway: A Game of Debate and Silver Linings ($30; swaygame.com), created by local entrepreneurs Margaret Marshall and Rachael Kauffung after noticing a trend toward negative humor in party games (hello, Cards Against Humanity!). Players go head to head arguing only the positives of their topics (which range from middle airplane seats to locking your keys in your car), all while completing a silly challenge, such as speaking like a pirate. Whoever puts the most positive spin on these subjects, wins. It’s such good clean fun, you won’t even feel guilty bragging about your superior rhetoric.